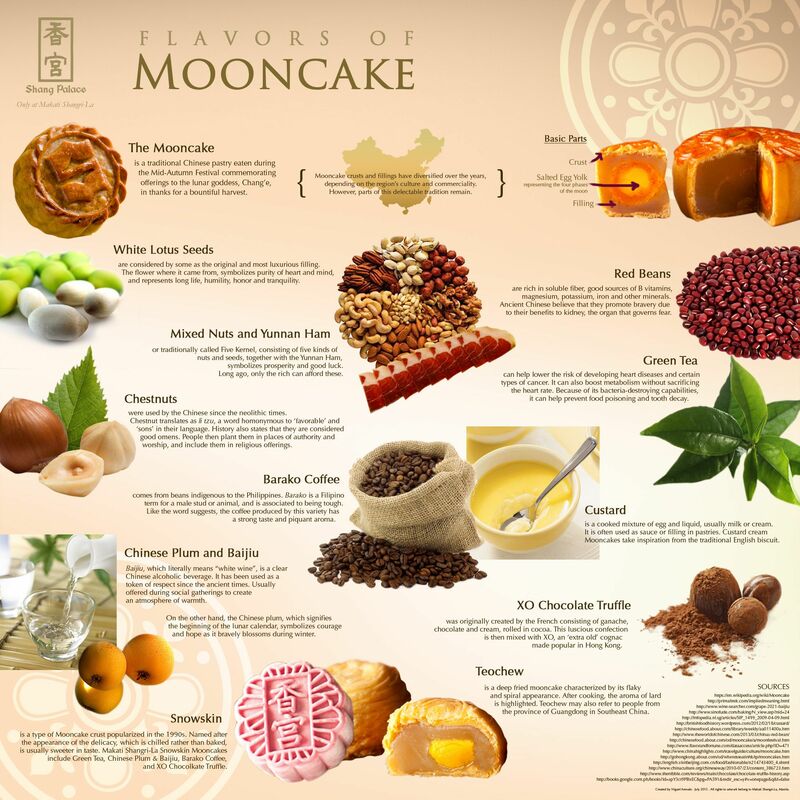 Chinese Mooncake: Infographic | What is in A Chinese Mooncake? You are in Home > Blog > Food & Drinks > Infographic: What is in A Chinese Mooncake? If you’ve never had a mooncake before you are missing out on one of the best Chinese pastries ever created. This ornate dessert with a golden crust and creamy filling is a staple of the annual Chinese Mid-Autumn Festival also known as the Mooncake Festival or Lantern Festival (this year it was celebrated September 8th). Mooncakes are made as an offering to the moon goddess Chang'e and have been enjoyed for over 3,000 years. The cakes come with a thin crust and come in a variety of flavors but the most traditional come with a lotus seed or red bean stuffing. They often have a salted duck egg center representing the four phases of the moon. Here's a great recipe for Chinese mooncakes if you'd like to make them at home.